We have a wide variety of apps in the market, eye-catching designs and famous user-interfaces area unit necessary to refreshing customers towards your apps. most believed because the most important half for mobile apps as completely different mobiles and tablets. Tools and techniques we use involve HTML5, CSS3, Photoshop, Adobe illustrator, Coral draw and alternative latest tools in the market. 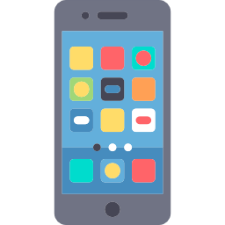 Creation of Mobile app UX/UI designs is amid the toughest task to style because requires complete compatibility among devices in step with their graphics, resolutions, screen sizes and other views. We inherit all those planning UX/UI for mobile and tablets. Designs innovation in flat and 3d. We would be glad to hear you from positive response about work with us for any mobile UX/UI Design works. Our team will give you a Excellent innovation and unique designing. Don’t hesitate to ask any query.